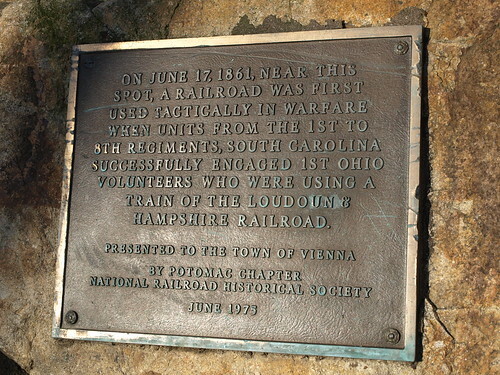 VIENNA, Va. — On June 17, 1861, “the first tactical use of of a train in warfare” occurred near what is now the current community center of my hometown. We learned about it in school but only upon seeing this story in the Sun Gazette about the upcoming sesquicentennial commemoration, did I decide to go and take a photograph of the plaque above and blog about it. The town will hold a re-enactment of the battle on Saturday, June 18, said Vienna Parks and Recreation Director Cathy Salgado. Living-history events, including a military encampment, will be held at the site earlier in the day. Town officials will provide a detailed event schedule later this spring, Salgado said. 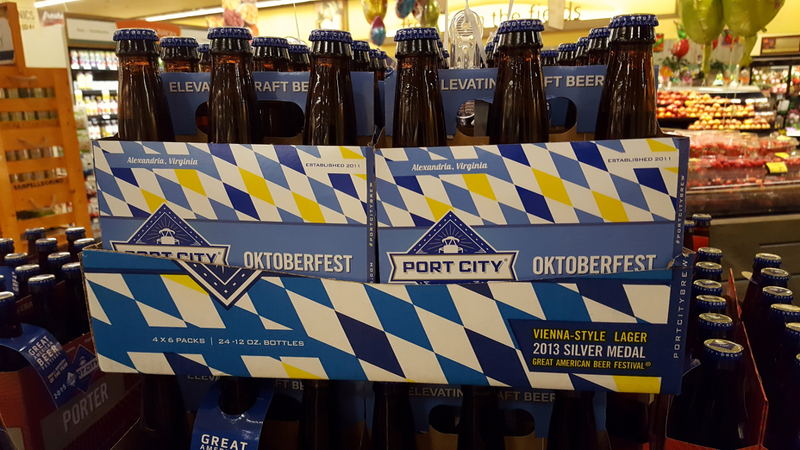 I’m not a big Civil War buff, but I may have to check this out. I wonder if a 3 year old would be interested? The Town of Vienna, for the record, voted to stay in the Union, 78-44. That will be re-enacted on May 21.